In case you missed it in all of the incessant blogging I’m doing about it, I wrote this book. But what you don’t know is the author copy was Fed-Exed to me at the end of last week and I got to hold a book in my hands that I wrote from cover to cover. It’s small, but it’s mine. I finally had something I wrote PUBLISHED! I’m sort of dizzy writing that. I wrote from the time I can remember. I have journals dating back to my freshman year in high school (which I refuse to read because it’s still too painful to see the immature hormonal me!). I wrote a daily journal from high school until I got engaged. I also wrote a series of short stories that I dreamed of getting published by the New Yorker. I think I always wanted to have something published – an article, a children’s book, a short story, the what it was changed over time. Then once I was married, the habitat of rolling over to chronicle the days events in my daily journal turned into rolling over to kiss my hubby. So there’s virtually nothing written by me from 2006 to 2010. I have saved a few emails that highlight big life events. But the triplets joined us in October 2009. So by the Fall of 2010 I realized I had to write again. Just to remember what they were doing. And that turned into this. And this blog turned into a She Speaks event for which I submitted two book proposals – one a marriage preparation devotional and one a book for working women about balancing success and their faith. 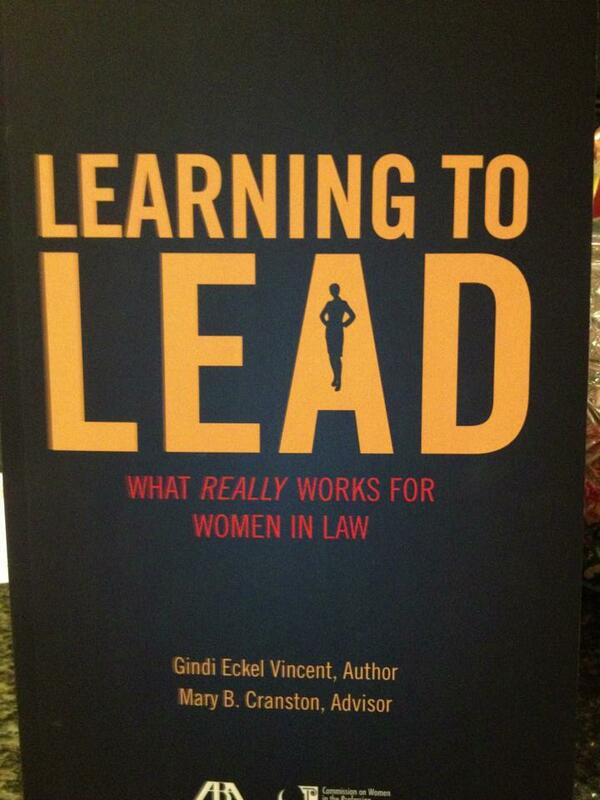 Simultaneously, my mentor said the Commission on Women wanted to publish a book about leadership. I offered to write it. And Learning to Lead was born. A year after my first meeting with the Commission presenting the book outline I am holding a copy of my first (hopefully of many) book!!! For this reason I kneel before the Father, from whom every familyin heaven and on earth derives its name. I pray that out of his glorious riches he may strengthen you with power through his Spirit in your inner being, so that Christ may dwell in your hearts through faith. And I pray that you, being rooted and established in love, may have power, together with all the Lord’s holy people, to grasp how wide and long and high and deep is the love of Christ, and to know this love that surpasses knowledge—that you may be filled to the measure of all the fullness of God. Congratulations Gindi! I am so proud of you. I will definitely get my copy!! I’m so proud of your accomplishment! Your Mom has been keeping me up to date on this, and it’s thrilling to see the final outcome! God’s grace is good, isn’t it? Thanks so much Debbie – yes, I’m amazed!